The Living Well Planner Review – The Best Life Planner I’ve Found! Still AMAZING and still geeking out over it…This is the longest I've ever used the same planner (going on year two! ), which as any planner nerd can tell you is unheard of. I usually get Planner regret long before this point. I’m planner obsessed. 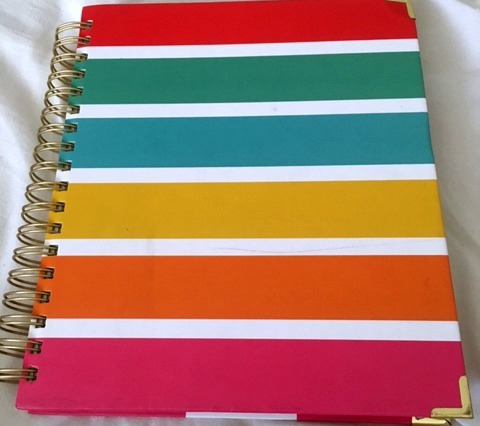 I lusted after an Erin Condren life planner for two years before I broke down and purchased it. (I'm also cheap to a fault). 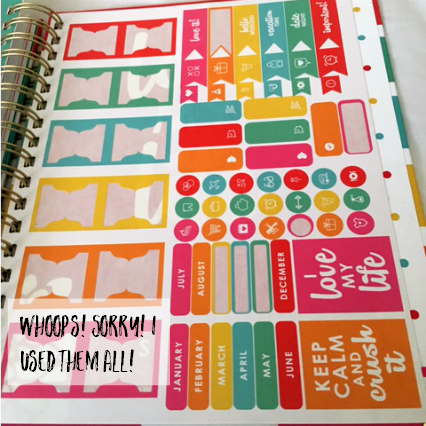 The Erin Condren Life Planner was beautiful and I loved the stickers… but I think “life planner” is a stretch. It doesn’t have budgeting, or designated meal planning, or even goal setting. 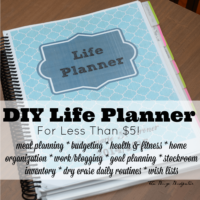 I even created my own DIY “Life Planner” that was more of a life planner for $5 (it even had freezer cooking sheets!) while I patiently waited until I could buy an Erin Condren. Then Ruth Soukup of Living Well Spending Less announced that she was creating a life planner and I was all ears. I’ve followed Living Well Spending Less (Ruth’s Blog) for a while now and know her well enough to know she puts her heart and soul into her products. 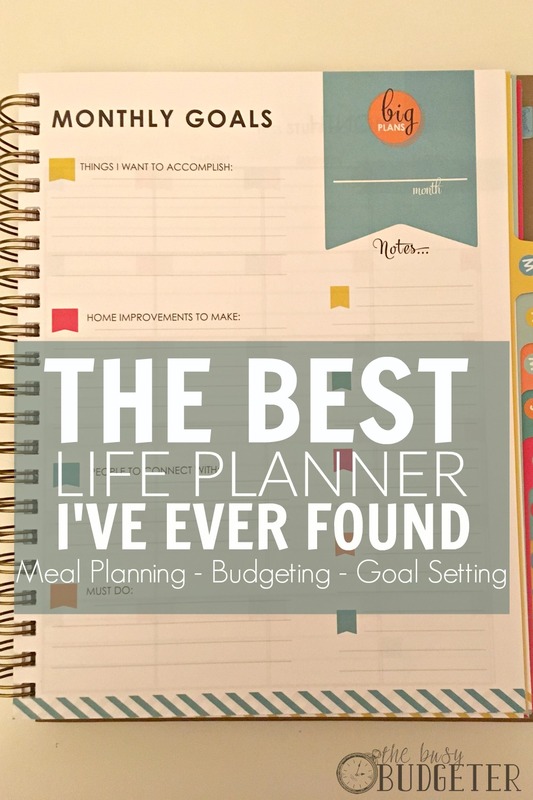 I was positive that her life planner would have the beauty of an Erin Condren but actually have sections on budgeting and meal planning (which is essential for a life planner in my opinion). Let’s walk through it shall we? It’s gorgeous. The colors are motivating and energizing. As soon as I open it, I just want to accomplish things. I'm including tons of pictures so you can see for yourself. Unlike every other calendar I’ve ever used, it doesn’t have sections. Meaning, it doesn’t have a meal planning section, a goal setting section, and a budgeting section. Everything is organized by month. This makes it so much easier to actually use. It isn't a hassle to enter or retrieve information. At the very end of the planner, it has a cleaning system checklist. You can see more photos of the Living Well Planner here. For December, it has my Christmas budget and gift guide. For January, it has my step by step tasks that I need to take to get ready for taxes. For March, I plan to write in my “moving task list” as we get ready to move. This is a section with a monthly calendar. There are probably a million different ways to use this. I just do a quick snapshot of the month. I fill in things like holidays, big events, trips, house guests etc. I also do my batching here. So each day of the week is assigned to a task and that's my basic goal for that day. Batching helps me get the basics tackled every week easily. I’m huge into goal planning. With a goal planning page every month, this lets me focus my energy on a few things at a time. I set my goals based on the categories that she lists. I make general goals, home improvements, and (my favorite) “people to connect with”. I always choose SMART goals. Then I make sure that under the people to connect with, I write not only the person but how I want to connect with them (date night with Jon or a fishing trip with my toddler). When I fill in my weekly tasks, I head to this page first to pick a few goals to work on during the week. WARNING: If you buy this planner and DON'T do the online goal crushing course that comes with it, you're missing out big time. This isn't just a planner it's a system that WORKS to complete your goals. I can't stress that enough. If you buy the planner… you'll like it… it's a solid planner. But if you actually apply yourself and take the free online class that comes with it you'll be a raving fan like me and will likely stop buying the next new planner (hahaha… never though I'd say that!). The budget sheets are what really set this planner apart from the rest. Having a well-executed budgeting worksheet directly at the start of the month is exactly why I made the switch from Erin Condren. This is what makes this a life planner and sets it apart from a normal planner. Your monthly budget is broken down into 8 major categories and 47 sub categories. I usually hate worksheets that determine the categories for you because they always leave out categories that I have and I find it’s just more annoying than helpful. You can clearly see that her background is in budgeting and saving money because she did a fantastic job on this! The categories worked great for me. I still track my budget online, but I love having the written budget here first, and then using the apps to track it. The weekly planning blocks are pretty spacious and laid out in vertical blocks. It's written in hourly format, which I thought I would hate (I blog full-time now and hardly need hourly appointments), but I ended up loving. It's addictive to time block my day like that. It has a column that runs through the week as well with “Must Do’s”, which is where I write things that are firm and can’t be changed, things like doctors appointments etc. I add a check mark to the lower right section when I complete the daily load of laundry (this makes it so I never get behind). I also kept my routine of using Erin Condren stickers to block off a “rest day each week”. The sticker covers the “Must Do” area and that’s my signal to stop trying to be productive and to just enjoy life. I take the kids to the park or read a book. Life isn’t always about efficiency! I also kept my Erin Condren picture stickers. For $5 for a whole sheet, they motivate me to use the planner. And I adore looking at the faces of my favorite people when I make plans with them. You can see more sections of the Living Well Planner here.. The meal planning sections are spacious, gorgeous, and easy to use. I love the lay out of these. There's enough room to plan breakfast, lunch, dinner and even snack. Kind of a small thing, but it makes a big difference. This means that I'm glancing at my meal plan several times a day as I look at my planner. Which means, I’m noticing that something needs to be thawed or prepped ahead of time, and I'm much less likely to forget something. They have a shopping list to the right of the meal plan which I originally didn’t think I would use. I usually don’t pull my planner out in the grocery store. For the sake of giving a full review, I started doing just that and then kept doing it. It works just fine; I added a pen loop (also from Erin Condren), so I know I'll have a pen available. I just put a check mark on items when I put them in the cart. 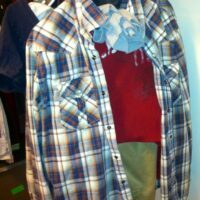 I will say that I felt unusually “put together” in the store with this. I started dressing up to go to Wegmans instead of wearing yoga pants, running shoes and an over-sized sweater. I felt like if I didn’t dress up, I was dragging my fancy planner down with me. The front and back covers of this planner are very thick, sturdy cardboard. If you’re artistic, you could do some seriously amazing things with this cover! I have ZERO creativity- seriously, like none. I stick to the bright color scheme that comes with it. But someone is going to totally modge podge this cover into something insanely awesome… I just know it. The Living Well Planner comes with stickers (see above) and they also have sticky planning sheets that you can use with your planner that I love! But, you can still use Erin Condren stickers! This beat my Erin Condren life planner out in an instant. It wasn't even close. The only thing that came out on top with Erin Condren was her stickers, accessories, and the personalized cover. So I kept the Erin Condren stickers and pen loop and started using them in this life planner. I added my Erin Condren life planner cover to the first page of the planner as an inspirational photo. The stickers and pen loop are worth it ($5 and $2.50 in that order), I think the cover is too expensive on its own (I would just Modge Podge a photo to the front). Work-outs! We can’t have everything can we? I’m totally not complaining, this planner exceeded all of my expectations, but I would love to see a one-page monthly work-out tracker in future editions of this planner. The other thing I would love to see is a habit tracker. Habit trackers are the little bubbles that you fill out when you do something for the day- you commonly see them to track water consumption. I used to exclusively write in planners with pencil (we even had a giant old school sharpener on every level of our house) because I loved being able to easily erase and I thought erasable pens sucked until a blogger friend told me about Frixion erasable gel pens. MIND BLOWN. It’s the best life planner I’ve ever used. It’s well designed, extremely high quality, well thought out and you can tell instantly that she didn’t add things “to look impressive”. Everything that made it into the life planner was put there for a purpose. It’s built to make you more efficient without drowning you in details. Here’s the kicker. It’s either super expensive or super cheap depending on what you’re used to. 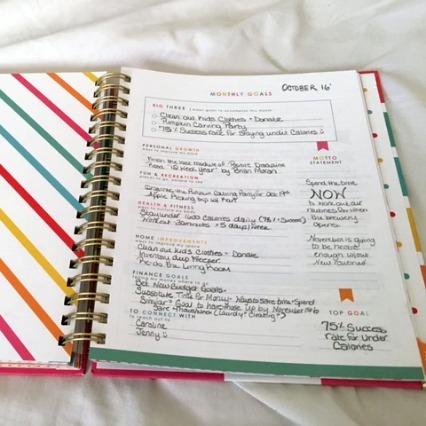 If you’re an Erin Condren life planner fan like me (former Erin Condren fan? ), then this will seem like a bargain at $49. If you’ve never bought anything but the $10 planners at Walmart than I can totally see you gasping at that price. I feel your pain. It is a lot of money, but I think it’s actually under-priced for what it does, especially considering the price of comparable planners. You can buy The Living Well Planner here. I love it, I think you’ll love it. If you have the money budgeted and you want to ramp up efficiency- take the plunge. You won’t be disappointed. On the other hand, if you can’t afford this right now, understand that a planner is a tool… you’re perfectly capable of tackling this stuff in a $10 planner if you're dedicated to it. What's the best life planner you've found? Update: Are you struggling with chronic disorganization? I know exactly how you feel… 3 years ago I was a mess. I spent tons of money on groceries only to end up at the drive-thru. I’ve learned something since then… the key to change is keeping it super simple. I just got my LW planner & can’t wait to start using it!! I don’t need the meal planner page itself (I current use an app to manage it & my grocery list that works great for me). Plus, I really only plan one meal a day so I don’t need 3 columns. So I plan on using one column as my workout tracker. Not sure yet what to do with the other two, but I’ll come up with something, I’m sure!! ? Yay, I know you’re so excited. That’s great that you can come up with your own ideas for unused slots. I love that it’s pretty easy to use the stuff that you don’t use for something else! I need to get one to help keep my like and expenses on track for once. I would love to purchase the living well planner, how do I purchase one? I am still waiting for mine (obsessively tracking its route through USPS! ), and was so happy to see your very positive review. 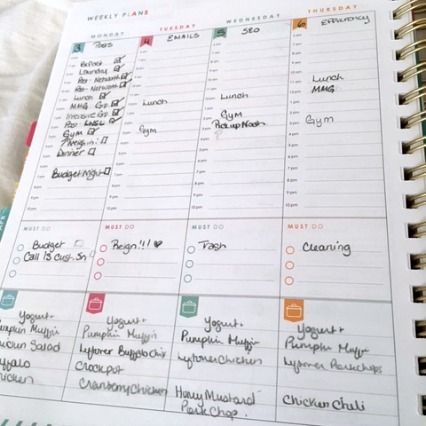 The meal planning and budgeting/spending are important parts of daily living, so I was so happy to see that in a planner 🙂 Love your photos- it’s making me drool even more! Is the planner suppose to be free. I have signed up for it but can’t find anything else about it. Not this one Liz, This one is about $50. I would consider it to be a premium planner. Worth the money to me, but it would totally depend on your budget and whether you would actually use it. Very excited to get mine! Just received mine, and I really like it so far. My friend saw it, and will be ordering one too. I like all of the features you mentioned, and I’m hoping the next will have habits, tasks, and water consumption spots also. 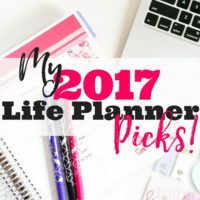 The big sellers for me were the monthly budgeting sheets, goal setting, and weekly plans next to the meal planning pages. Thanks for your review! Happy to help! A good planner can make all the difference. I tagged 10 friends on Facebook for the 10 entries in the giveaway but it never gave me the credit for it. Any help? I found thid blog through Pinterest. I was so excited when i saw this planner that i immediately ordered it as a substitute for my Erin Condrin planner. I got it and was shocked at how HUGE this planner is. Its not a portable planner at all. Its definitely a desktop calendar. I ended up ordering an Erin Condrin planner anyways due to the fact i needed one i could take with me. Ill be using this one as a ststionary one for the house. You should probably include the size in your post because when you compare it to the EC planner it could be confused, as i did, as a portable planner. It was an oversight on my part not checking the dimensions but im sure i wont be the last. Other than the size of tge planner….i love it. OMG. Your review is awesome. 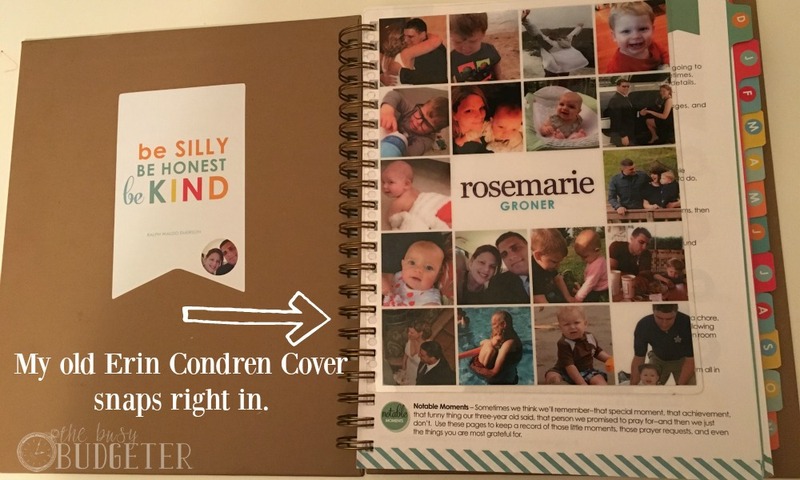 I will definitely check it out as this planner seems to address issues I also have with the Erin Condren planner. But I want to ask that you look at your site. It’s very ad heavy making it extremely hard to follow. On my iPhone several video ads piped up blocking a third of the screen. You may not be aware of that if you only look at your blog through a computer. It’s makes me not earmark your site as a resource. Even trying to write comments I’m having my screen blocked by ads. Very frustrating. Oh No! Thanks so much for giving me the heads up Allison! I’ll talk to my ad manager and figure out what the issue is and get it fixed. How do i get a planner? My family totally calls my little man ‘squishy’. It’s not his nickname, but a very common description. ? I bought this planner in January, and I absolutely LOVE it too! I have the same sticker on the cover of mine as you do 🙂 Mine comes with me to work everyday in my bag, along with my wok binder, lunch and water bottles. It’s a very sturdy planner and holds up great to traveling! It was $50 well spent to keep me sane and organized. I agree! I was very keen too but the postage is almost as much as the cost of the planner! I loved your review and as a result I tried to make a purchase following your link but I only had the option to get on an email list. Hi! Did you receive the new version yet? I’d like to know how you like it in comparison to the original. I was seriously thinking of treating myself to this planner, I loved the weekly layout and the fact that it has more planning options than most planners! Decided on the simple stories carpe diem in the end… 2 reasons I felt majorly let this planner down. 1. They state it has a typo on the April monthly tab, the P and R wrong way round. I personally wouldn’t be impressed to spend $54 on a planner with a typo! 2. The shipping to the UK is expensive and long winded! I have to sign up to a third party company for a US address where it would be shipped and then the third company ship it to me! I took the plunge and ordered two of the Living Well Planners; one for a gift and one for me. It really is not worth the enormous price that is charged. I spent a lot of money for something I could have printed off of the internet for free. I’m not a rich person and I really splurged to purchase these planners…I’m extremely disappointed. I’d advise…don’t waste your money. Get a cheap binder, print off pages that will work for you and insert into binder. I second your opinion. It’s really not fair to give free shipping for people in US and charge exorbitant price for shipping internationally. Though, I loved the planner so much..I don’t mind paying $45-$50 for that..But i have to spend another $50 for shipping? that’s crazy…anyways, hope she’ll bring a digital version so we could download and print it ourselves. Love your review! I use the “Basics Notebook” planner and it has been awesome. I may purchase it again for next year. Perhaps not as detailed but the reason I like it is because of how “empty” it is, just waiting to be catagorized how I want. There are spots for 3 goals (each with three tasks) per month and 3 focuses for each week too. There are so many similar things to living well but it comes with extra notebook paper, lined and blank. I just entered the contest. I’ve been wanting this planner but don’t quite have the fundage to get it myself just yet. Thank you for giving me the opportunity for a chance to win one! Love your site and love the Living Well Spending Less site, as well. Thank You so much for sharing this info. Look forward to seeing and readi,g more! So excited to get started. I love the information you have and reading comments from others. It’s nice to know we’re not alone in our struggles. I love that so many things I use are in one planner! My favorite is the space for goals. Looks like something I would put to good use! Love the color Scheme and layout! Looks super functional! I love the tips, resources, and support that I have seen since joining! I need all of this! Fun giveaway!! I had one of these last year….but our water heater burst and my planner was swallowed up in the water, would love to win! I have been trying to figure out how to make my own planner like this. It would be Awesome to win it. Looks like a very versatile planner. Enjoyed your review! I am so thankful for the amazing help you have been for me to get on track this year! I have always been organized but you have pushed me to another limit. I love planners too and can’t wait to try this one!! I have my planner coming in next week and I am SO EXCITED! I’m so excited about this giveaway!!! I just got my first Living Well Planner this year and I really like it so far. I have spent most of today filling out my new living well planner that I got myself for Christmas! I’m so excited and motivated 🙂 🙂 and so grateful I found this site!! I love organizing and the planner is so well thought out and pretty it would make it even more enjoyable. This planner would make my life less complicated I think. all around planning at it’s finest. This planner looks great for the price!! Would be such a blessing to win!! Thanks for all you do. I’ve learned so much! It would be a huge blessing to win this! The meal planning would be so helpful. I so NEED this planner…the whole system!!!!!!!! I’ve tried a million but so far no luck. This one looks PERFECT though!!! I’d love to win the giveaway!!! ? PLEASE!!!! thanks for the contest. Hope i win. Taking a chance on the giveaway, fingers crossed! I’m so obsessed with this Planner! I wanted this whole bundle for Christmas. THANKs to both parties for the opportunity to win! I have recently started meal planning thanks to Trim Healthy Mama, and budgeting thanks to you, so those sections would be invaluable if I won this! As a homeschool mom, I would never be able to get something like this on my own. Thanks for doing this! I would be in planner heaven. I love your site! This concept is so simple, yet so effective. I’ve wanted to take control of my finances for some time, and the 90 Day Budget Boot Camp is helping me begin to do so. I would love to win this prize! I am obsessed with organization, so this would be a great prize for me! I love my happy planner and I am way excited for this giveaway! What an awesome planner, and what an awesome giveaway! This planner is fantastic!! I just got mine, but I would love to win, give the planner to a friend I know needs it, and keep all the other goodies!! Thank you for this chance! I just started following you both on FaceBook and Pinterest. Would be super excited to win. Thank you for the chance. I absolutely love the planner! Everything about it from planning my day to meals and I love being able to keep track of my budget first hand and have an eye on it all the time it has helped me so much!! Thank you for the awesome planners you have created!! I am obsessed with planets and would love this planner to try out! I love your indepth review! This year I am working on living with intention (i.e. parenting with intention, budgeting with intention, etc). This planner, and the online course, would be perfect for me! What I love most about this planner is that it has literally everything I need to not only plan my day, but plan my life – all rolled into one book! I haven’t found any other planner that compares! I love the space for writing and the stickers are a real added bonus!! Love when people do honest and thorough reviews of planners!! So hard to find the perfect planner!!! If I don’t win, I’m totally buying one!! This is a great planner!!! I love the monthly goals section, it keeps me focused. I can’t wait to get this planner. It looks so colorful and functional! I have not actually used the planner, but it looks like an amazing one. This looks like a fantastic planner! I love the colors, and how everything is together by month, not sections. I so need this level of organization in my life! This looks amazing. I would love to have one to organize my life! This is such an amazing give away! You’re such an inspiration to so many, and so generous too! I love that it’s all in on place and, I’m not gonna lie, it just looks fun! I need one of these. It is great quality and organization is awesome. Would love one so much! Love this planner! I now have everything in one place!! Oh my gosh!!! This planner looks amazing!!! I am a planner fanatic!! I am going to have to get one!!! I would LOVE to WIN this! This looks like it is easy to use, has a pleasant layout, and I need this in my life! I like it but I’m not a fan of the budgeting pages, personally. I love that everything is organized by month instead of sections. It’s so nice to not have to flip around the planner to find what you are looking for. I could use all the help I can get. I definitely needs this to get organized. I used to be a very organized, well balanced individual until I got promoted a few months ago. Since then I have been so busy to keep any sort of balance at home. I really need to put everything on paper so that I can get organized and gain my balance once again. Winning this would be awesome! I use a Happy Planner right now but would love to be way more organized. I am going to the website to check out the planner now. Thanks for the awesome review. THIs planner is really special. I just got on for 2017 Andy inn way impressed. I bought a Happy Planner at Michaels on sale with a coupon as my first “real” planner, but if I can stick with the routine of using it for the year, I would love to splurge a little and get this planner for myself for next year. I just got into the planner community a year or so ago, and always used freebie printables or made my own, because I bounced around too much. But if I can stick with one planner, this would be an awesome reward! I love the idea that all of the resources in the planner have been put together for me, and knowing so many others have used them successfully. Totally beats my cobbled together combination of forms found on Pinterest that ultimately cost me more time and money than I should be spending. I would love to have a planner that has all of my stuff in one place! Amazing! I love how they have a reference list of what you should do daily, weekly, etc to maintain maximum organization and focus! I totally could use some of that. 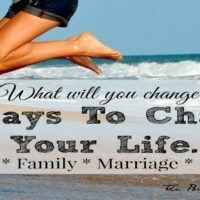 I have just started following this group and I am SUPER excited about all the ideas I have found here! I am a TOTAL organization nerd, and this bundle is amazing- I would be over-the-moon to win it! I am very excited about this planner. I need a tool to keep me organized and I think this is just the thing to do that! I have had this planner for about half a year now and I LOVE all that it has to offer. I have not used all the features to their full potential so that is on my to-do list. I love the monthly goals section and the weekly planning pages. What a great giveaway! I love this planner! The idea of setting both small and large goals is so motivating. Thanks for hosting a giveaway! I’m so excited to get my workbook and get started. As a military wife my life is in disarray a good portion of the time. I need all the help I can get to get our finances on track. When people saving I feel like they are speaking a foreign language! Need this!!!!! I’m so old school when it comes to planners and keeping track of things; I have to have a hard copy in front of me!!! My hubs Ian trying to get me to utilize my calendar on my phone, but why change a a good thing?!?! 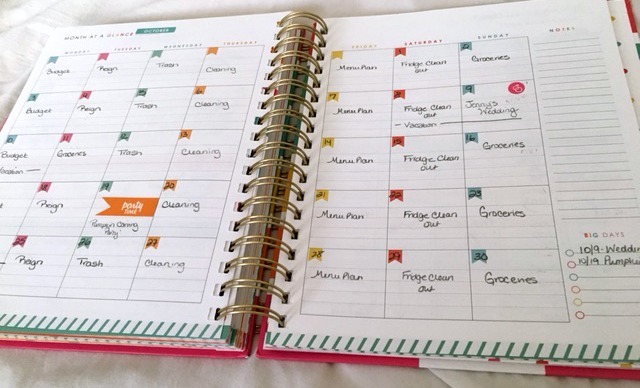 Thank you so much for sharing, this looks like an awesome planner! I love all the content you get in one planner instead of having to have two or adding sections to your existing one. This has been so helpful. I would love to win this and put it to use! I love the idea of having all my budgeting tools in one place and how it keeps it all so organized! I am also a terrible planner addict. I used the bullet journal system last year for six months and then I couldn’t use it anymore, too much work. So I bought a Happy Planner and I’m so happy with it (haha pun wasn’t intended but now it is)… but we’ll see, it’s only been a month since I started using it. I will DEFINITELY look at Ruth’s planner next year especially since I also know she really puts her all into her products and it looks fantastic in your review — I really like that it’s organized by month and yet still has all the budget sheets! Wow! I have 3 separate planners for all that this one does! I stopped using them because it was too much of a pain to go back and forth between them. I can’t wait to see the transformation! Love the Planner! I love this color scheme and getting organized with stickers! I need more organization in my life. Would love to try this planner. This looks like an exceptional planner. Thanks for the review. Thank you for suggesting another great product to help us be more productive. Our family usually buys planners for Christmas and until I saw this one I didn’t realize how much I need this one more than the one I am using. Thank you for the suggestion! This looks promising for keep me on track! I love that it is one stop shopping! It contains everything I need and is bright and colorful! I definitely could use this! Love the cheerful colors and that it covers so many aspects of life! I would love to win the giveaway. 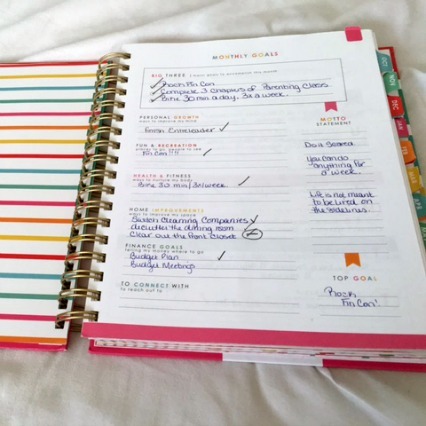 I like that everything is in one planner and it is so versatile. You can easily adapt it to what you need. I like that it has everything in one place. I have wanted this for a while. It looks amazing! Awesome info to share. I am drawn to Ruth at EBA and this planner. Thanks for giveaway too! You all are an inspiration to me and so many other bloggers. Thanks! I’ve been overwhelmed by other planners because I always had to ADD my own stuff – this planner seems to have everything I always add already in it! Love that it has monthly budgeting planning! This is such an awesome giveaway! I would love to try out this planner. I ah e had the Erin Condren planner for the past 2 years and seem to lose interest in it around April. Thanks for offering a great item!!!! Have been looking for a decent size planner and organizers to help me budget better. I hope these help. I love how customizable this is. It can really work for a variety of needs. Thanks for the awesome review! Hoping to win this planner! Would really help my accountability in keeping budget, meal planning and organizational goals on track! Thanks for the opportunity! It sounds awesome. One question about the hourly slots: I currently do shift work (3p-12a/midnight) and trying to work my blogging schedule and meal planning and other schedule elements, what is the hourly breakdown? Is it all 24 hours? or just some of them? I’ve been looking at and wanting this planner for last couple of years. But that was just extra money I would spend that I didn’t need to. But this year I am determined to finally set a budget and get things organized! So getting this planner for free would be awesome! Thanks for the opportunity to even try. I would love to win this planner. I’ve been wanting one but it’s just not in my budget right now. I’ve been looking at this planner for months. Maybe it’s time to stop looking and start using it. I’m so very excited about this!! I’ve been looking at this planner for awhile & just have tcnade the move to get one ..so this would be great if I win one! I purchased the MAMBI Happy Planner and I love it. I love the ability to remove/add pages and even switch them around. Honestly, I don’t utilize my planner as much as I should and it’s sad. I’ve been using it as a bullet journal as well so that all of my ideas, plans, etc. are in one place. 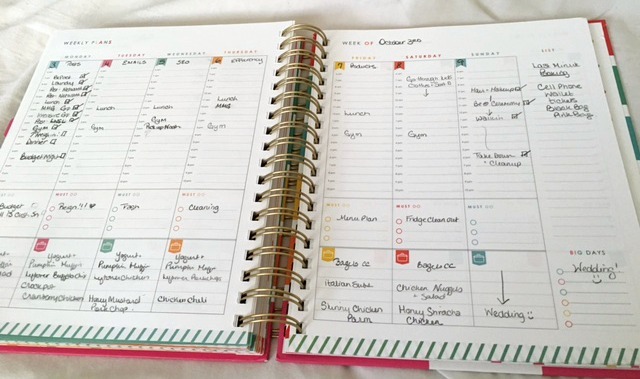 How do you maintain focus of using your planner everyday?? I love that it covers so many aspects. Because mom-life isn’t just tracking schedules – it’s tracking EVERYTHING! LOVE LOVE LOVE this planner! I love that this planner includes everything (goals, finances, etc) under one cover! I love that it has lots of room for goals and notes! I need that! Love this! I have been dying to try out this planner but it just hasn’t been in the budget. Trying so hard to get organized and get out of debt this year so that I can go back to school and so that I can help my husband start his own business. This would be so awesome to have! I would love to have a planner that has all of my stuff in one place! I need to get our life organized! I really want to learn how to be financially smarter. I’m OCD about cleaning, I wish there’s a way I was with budgeting. I need a new planner BAD!! I’ve recently begun your 90 day budget Boot Camp, and I’m right to the point where I need a schedule book and calendar budget. And I absolutely LOVE this one! This would be awesome! I would love the opportunity to change some old habits! I love so much about this planner – the monthly goals, budgeting, and stickers are my top 3 favorites! I really hope to win this planner! I love that its divided by month rather than subject. I like to see everything all at once like that. I love that it is divided by month, and also that there are budgeting helps. I always use help with that! Oh, this planner sounds amazing! I am also planner-obsessed and hoping to win this! I love the budgeting and goals pages, and that it is set up as months instead of sections, but my favorite page of all is the Thoughts and Thanks page to reflect on grace and gratitude. Sigh. Did I mention I love the lively and fun colors? I love that it has a goals section!! I am excited for this to be my next planner!!!! Great review, thanks for the chance to win this awesome package! I really want this planner!! I hope I win this package! ? I have been using the planner religiously and i absolutely love it. I also get excited receiving new advices and tips. I’m saving to get this planner bc I KNOW it will help me out so much. I love your ideas for the extra. I’m currently reading Living well spending less. I have a kindred spirit with Ruth. 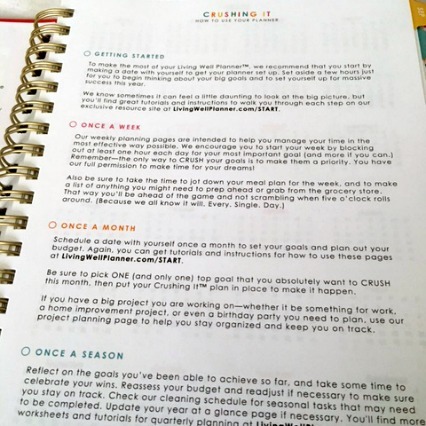 Hoping to get the planner when my blog starts making some $$$ – Just started thanks to the Crushing it MIni Course! Love LWSP. I tried the Happy Planner from Michael’s this year. I keep looking for the elusive perfect planner. I may have to look more closely at this one. I LOVE my LWSL planner! This is the first year I have used it & I can’t wait to see what the year has to bring! Loved your review! What a great planner! I love the colors and how many different categories it covers. It would be such a blessing to win this. I can hardly see the pictures. Is the weekly calendar horizontal or verticle? Is there an option for either? Thanks for the info! I am also a planner nerd and was so excited when I found out my 3rd grader now had a planner for school (LOL!) ….anyway I have liked the Planner Pad, but I’m going on my second year with it and was getting bored a few months into the second year (it’s not as pretty and it’s pretty basic, but the weekly layout is similar to Living Well planner and the LWP has sooo much more included for about $10 more! PLUS all the community/courses, etc. Question though : do you ever use those printables on her site? Is there a way to put them in the planner ( I guess in the pockets….) Thanks!! Living well planners and calendars are always the best to get for each year. They inspire and give hope!